Rent the Charisma Accent Chair for a classic look. 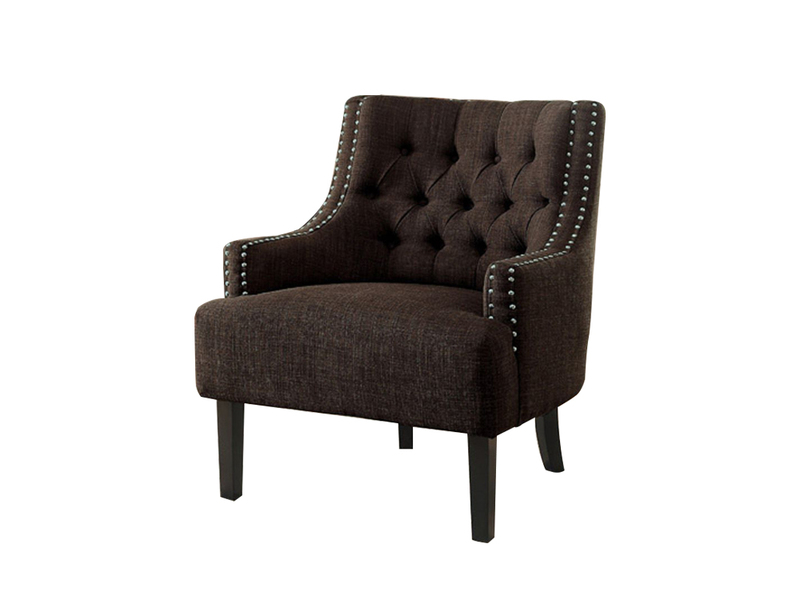 The chair has stylish button tufting, nailhead trimming and modern traditional upholstery. 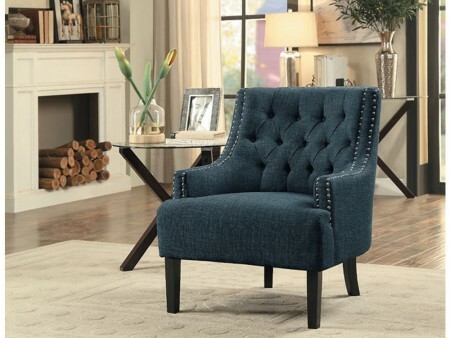 The accent chair features low armrests for added comfort. 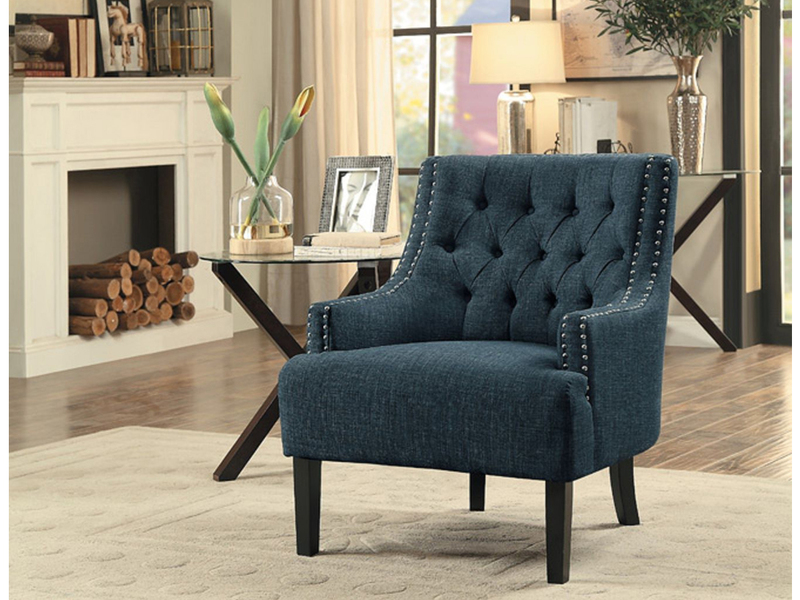 Made of dacron, the seat cushion is made for long-lasting comfort and it also has a durable wood frame with cherry finished wood legs. 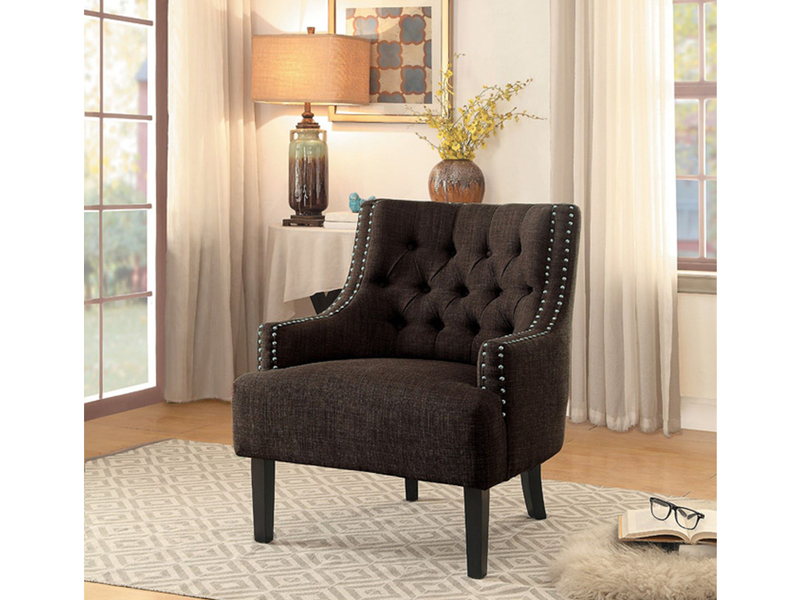 Pair the Charisma Accent Chair with one of our rental designer sofas and you have the ultimate living room setting. It is best suited for larger living rooms.